When God opens a door, it is open and it cannot be closed! I am happy to share with you that the “door” for our E-Video Team ministry has opened even wider, and our 6th team was added to our growing international video outreach & training ministry! “The gate to the nations is broken, and its doors have swung open to me,” Ezekiel 26:2. God gave me this verse as final confirmation to restart my ministry in May 2011, and this verse is happening in ways I never, ever, imagined! Our E-Video Team in India conducted video & food events in 4 villages the past month. The gratitude they express for the equipment and resources our ministry provides to them is real! 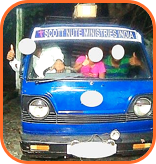 In the 4th photo notice the joy in their faces as they are in their van on their way to another village to share the Gospel (a box of our salvation tracts are on top of the van). They saw 40 people accept Jesus Christ this month, fed dozens of people with rice, and distributed Bibles to new believers (bottom photo shows women who recently turned to Christ receiving their new Bibles). Our Event Director in the Philippines, Pastor Lourdman Cabuenos, began 2 months ago mobilizing & training close to 200 churches for our February 2018 Crusade in the capital city of the Philippines—Manila! This looks to be the largest and most extensive evangelistic & training event we have ever done! By the time the crusade happens, over 8,000 local church members will be trained in personal evangelism and follow-up ministry! 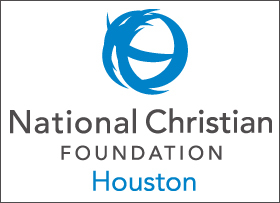 And, up to 500 Christians will be trained to be Counselors at the crusade and in the follow-up efforts. You & I are involved in THE MOST IMPORTANT PURPOSE to ever exist in world history…evangelizing and winning people to Jesus Christ! Nothing you and I do in our lives will EVER come close to having more eternal significance than leading people to Jesus Christ! Thank you for teaming with, and for believing in, this ministry! Together, we are getting it done!